In America in 2010, Henry’s niece, Susanna Kessler, struggles to rebuild her life after she experiences a devastating act of violence on the streets of New York City. When Henry dies soon after, she uncovers the long-hidden music manuscript. She becomes determined to discover what it is and to return it to its rightful owner. 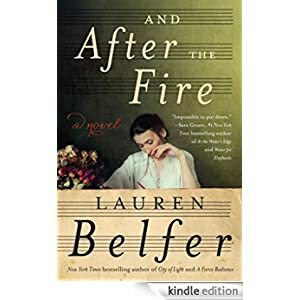 In Berlin, Germany, in 1783, amid the city’s glittering salons where aristocrats and commoners, Christians and Jews, mingle freely despite simmering anti-Semitism, Sara Itzig Levy, a renowned musician, conceals the manuscript of an anti-Jewish cantata by Johann Sebastian Bach, an unsettling gift to her from Bach’s son, her teacher. After the Fire traverses over two hundred years of history, from the eighteenth century through the Holocaust and into today. 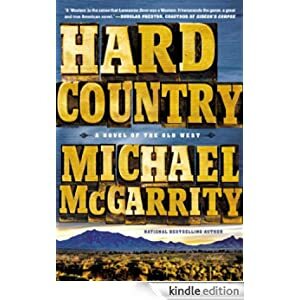 Buy this biographical fiction novel for only $1.99 today. 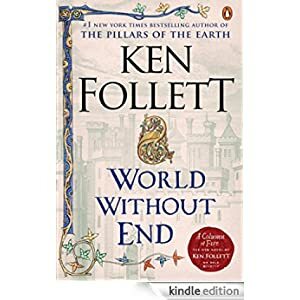 World Without End takes place in Kingsbridge, two centuries after the townspeople finished building the exquisite Gothic cathedral that was at the heart of The Pillars of the Earth. The cathedral and the priory are again at the center of a web of love and hate, greed and pride, ambition and revenge, but this sequel stands on its own. This time the men and women of an extraordinary cast of characters find themselves at a crossroads of new ideas—about medicine, commerce, architecture, and justice. In a world where proponents of the old ways fiercely battle those with progressive minds, the intrigue and tension quickly reach a boiling point against the devastating backdrop of the greatest natural disaster ever to strike the human race—the Black Death. 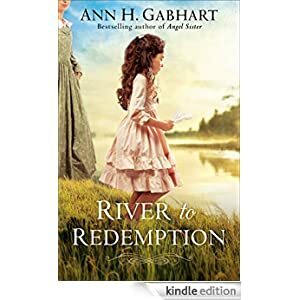 Buy this historical fiction novel for only $1.99 today. Buy this historical saga today for only 99 cents. In a life that spanned nearly a century and witnessed some of the most momentous events in American history, Elizabeth Hobbs Keckley was born a slave. A gifted seamstress, she earned her freedom by the skill of her needle, and won the friendship of First Lady Mary Todd Lincoln by her devotion. 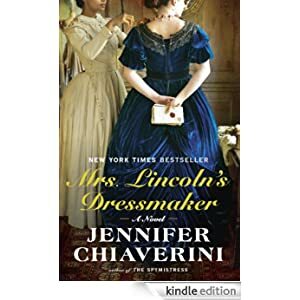 A sweeping historical novel, Mrs. Lincoln’s Dressmaker illuminates the extraordinary relationship the two women shared, beginning in the hallowed halls of the White House during the trials of the Civil War and enduring almost, but not quite, to the end of Mrs. Lincoln’s days. For Sonja, the arrival of Akhmed and Havaa is an unwelcome surprise. Weary and overburdened, she has no desire to take on additional risk and responsibility. But over the course of five extraordinary days, Sonja’s world will shift on its axis and reveal the intricate pattern of connections that weaves together the pasts of these three unlikely companions and unexpectedly decides their fate. 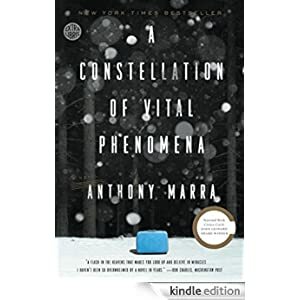 A story of the transcendent power of love in wartime, A Constellation of Vital Phenomena is selling today for only $1.99. The Titanic has often been called “an exquisite microcosm of the Edwardian era,” but until now, her story has not been presented as such. 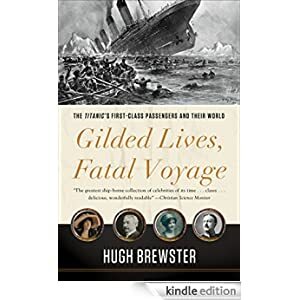 In Gilded Lives, Fatal Voyage, historian Hugh Brewster seamlessly interweaves personal narratives of the lost liner’s most fascinating people with a haunting account of the fateful maiden crossing. Employing scrupulous research and featuring 100 rarely-seen photographs, he accurately depicts the ship’s brief life and tragic denouement, presenting the very latest thinking on everything from when and how the lifeboats were loaded to the last tune played by the orchestra. In this “artful, informative, and delightful” (William H. McNeill, New York Review of Books) book, Jared Diamond convincingly argues that geographical and environmental factors shaped the modern world. Societies that had had a head start in food production advanced beyond the hunter-gatherer stage, and then developed religion –as well as nasty germs and potent weapons of war –and adventured on sea and land to conquer and decimate preliterate cultures. 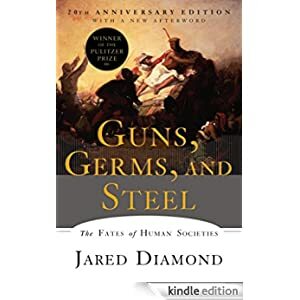 A major advance in our understanding of human societies, Guns, Germs, and Steel chronicles the way that the modern world came to be and stunningly dismantles racially based theories of human history. Winner of the Pulitzer Prize, the Phi Beta Kappa Award in Science, the Rhone-Poulenc Prize, and the Commonwealth club of California’s Gold Medal. Buy this book for $2.99 today. 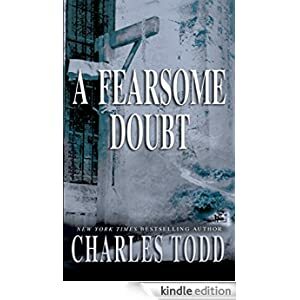 But when Thomas befriends one of the prisoners, a teacher named Karl, and invites him to tutor Kate, the implications of Charlotte’s decision become apparent—especially when she finds herself unexpectedly drawn to Karl. 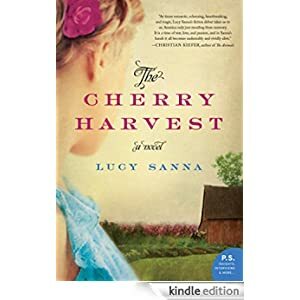 And when their beloved Ben returns home, bitter and injured, bearing an intense hatred of Germans, Charlotte’s secrets threaten to explode their world. You can buy this memorable coming-of-age story and love story, laced with suspense for $1.99 today.